David Williams did not have an easy life. He moved to Newburgh, a gritty, impoverished town on the banks of the Hudson an hour or so north of New York, at just 10 years old. For a young, black American boy with a father in jail, trouble was everywhere. Williams also made bad choices. He ended up going to jail for dealing drugs. When he came out in 2007 he tried to go straight, but money was tight and his brother, Lord, needed cash for a liver transplant. Life is hard in Newburgh if you are poor, have a drug rap and need cash quickly. His aunt, Alicia McWilliams, was honest about the tough streets her nephew was dealing with. "Newburgh is a hard place," she said. So it was perhaps no surprise that in May, 2009, David Williams was arrested again and hit with a 25-year jail sentence. But it was not for drugs offences. Or any other common crime. Instead Williams and three other struggling local men beset by drug, criminal and mental health issues were convicted of an Islamic terrorist plot to blow up Jewish synagogues and shoot down military jets with missiles. Even more shocking was that the organisation, money, weapons and motivation for this plot did not come from real Islamic terrorists. It came from the FBI, and an informant paid to pose as a terrorist mastermind paying big bucks for help in carrying out an attack. For McWilliams, her own government had actually cajoled and paid her beloved nephew into being a terrorist, created a fake plot and then jailed him for it. "I feel like I am in the Twilight Zone," she told the Guardian. Lawyers for the so-called Newburgh Four have now launched an appeal that will be held early next year. Advocates hope the case offers the best chance of exposing the issue of FBI "entrapment" in terror cases. "We have as close to a legal entrapment case as I have ever seen," said Susanne Brody, who represents another Newburgh defendant, Onta Williams. Some experts agree. "The target, the motive, the ideology and the plot were all led by the FBI," said Karen Greenberg, a law professor at Fordham University in New York, who specialises in studying the new FBI tactics. But the issue is one that stretches far beyond Newburgh. Critics say the FBI is running a sting operation across America, targeting – to a large extent – the Muslim community by luring people into fake terror plots. FBI bureaux send informants to trawl through Muslim communities, hang out in mosques and community centres, and talk of radical Islam in order to identify possible targets sympathetic to such ideals. Or they will respond to the most bizarre of tip-offs, including, in one case, a man who claimed to have seen terror chief Ayman al-Zawahiri living in northern California in the late 1990s. That tipster was quickly hired as a well-paid informant. 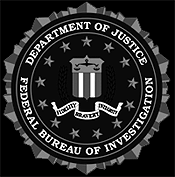 If suitable suspects are identified, FBI agents then run a sting, often creating a fake terror plot in which it helps supply weapons and targets. Then, dramatic arrests are made, press conferences held and lengthy convictions secured. But what is not clear is if many real, actual terrorists are involved.